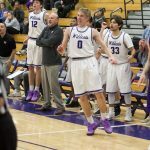 Summer Team Tryouts Tryouts for summer basketball will take place May 7th, 8th, and 9th from 6:00 to 9:00 pm in the Arvada West main gym. All student-athletes entering grades 9-12 interested in playing high school basketball are welcome! No pre-registration necessary. GO WILDCATS! Multiple Teams · Aug 23 Boys Basketball: Breakfast Club Shooting starts 8/20! Multiple Teams · May 8 Boys Basketball Open Gym CANCELLED! Today’s open gym for boy’s basketball has been cancelled! All boys interested in trying out for the boys basketball team are encouraged to attend pre-season camp this week. Camp will be held Monday thru Thursday from 3:15-6pm in the gymnasium. 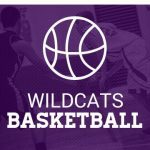 The basketball program at Arvada West is looking for qualified candidates to fill coaching positions in our youth basketball program. If you are interested please call 303-520-0315.